As you may well know, a few years ago there was quite a bit of controversy in the Astronomical circles when the long beloved Pluto was demoted from being a planet to a new classification ‘dwarf planet‘. There was much lamenting of this decision. Even today a search of ‘Pluto’ on Facebook will turn up not less than a half-dozen groups lamenting the fact that Pluto was demoted. First of all, let us understand that this is not the first time this has happened! In the past people once considered Ceres to a be planet. It was actually listed as such in most educational texts of the time. But as more discoveries of asteroids were made that classification changed as well. More on Ceres in a little bit. Pluto was considered a planet from its discovery in the 1930’s to only about 5 years ago. The seeds of the problems started when Chiron, discovered in the 1970’s was spotted in what would be known as the Kuiper Belt. But Astronomers effectively shelved the problem and dealt with other science issues. This gave Pluto a reprieve from scrutiny for almost 30 years. But then more discoveries were made. The discovery of Eris (nicknamed ‘Xena’ for a short time) by Mike Brown (who incidentally twitters under the name ‘Plutokiller’) in 2005 made it apparent that there was a lot more such planets in the Kuiper belt. The discoveries of more Kuiper belt denizens soon cascaded. Something had to be done about classification of these new objects and the international astronomers dithered and delayed once more. 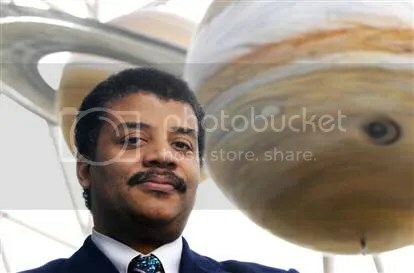 Enter Neil deGrasse Tyson, the world’s sexiest Astrophysicist according to ‘People’ magazine and director of the Hayden Planetarium in New York City. Neil was working with the American Natural History Museum to put in a display of the planets of the solar system. They wanted to classify the planets by type. That is the rocky planets (Mercury, Venus, Earth, Mars) and the Gas Giants (Saturn, Jupiter, Neptune, Uranus). From there they would have special descriptions of each planet’s unique features. This classification presented a big problem: Pluto doesn’t fit into either category. It certainly isn’t a gas giant, but it is not a rocky planet either. In fact, structurally speaking, Pluto has more in common with Comets than with the planets of the solar system. If Pluto were to break orbit and fly towards the sun, it would actually develop a tail just a like comets do! This made its classification very hard to do. There were other issues as well – while we have excellent photos of all the planets – some of them from even before the various space probes were launched – we had very few decent images of Pluto, partly because of its structure. In fact the photo you see near the top of this article is actually one of the best shots of Pluto ever taken, and it is still just a dot of light! So Neil and the developers of the Hayden museum simply did not put in a display for Pluto. But then the media noticed the missing Pluto. Soon there were articles in New York newspapers decrying the lack of a Pluto and Neil’s explanation that Pluto might be recategorized was not enough. 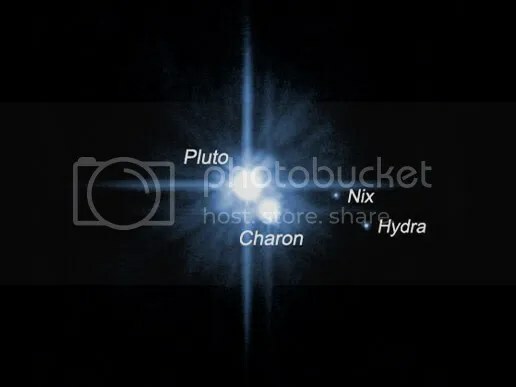 Now astronomers around the world had to make a decision: they could ignore the structural issues of Pluto, they could ignore Chiron in the 70’s, they could ignore the recent discovery of other Kuiper belt objects, but they could not ignore the media attention. So there were some meetings of international astronomers to make some decisions. Part of the problem is that there wasn’t really a good definition of what a ‘Planet’ really is! ‘Planet’ simply means ‘wanderer’ in ancient Greek and referred to those objects that meandered forward and backwards in the sky compared to the stars around them. That was caused by retrograde motion but it led to their terminology. When new objects were discovered, such as Neptune and Uranus, the same term was used for them. There was only one glitch – when Ceres was discovered and termed a planet – until many more objects in the same region were discovered and a new term ‘asteroid’ was applied. At first, not wanting to surrender Pluto as a planet they astronomers came up a with a rather poor definition. It was decided that any object that had sufficient mass to make a spherical shape and orbited the sun would be considered a planet. This decision, while saving Pluto from a status change, caused more problems than it solved. It meant that Ceres was once again a planet, and that the dozen or so Kuiper belt objects would also be classified as such. Our Solar System would now go from 9 planets to potentially over 20! This would not work. 3) “Cleared its neighborhood” of other bodies. This 3rd classification is what demoted Pluto. It had captured a moon: Charon, but the area of its orbit was still filled with other objects. Pluto had not cleaned its room. It was demoted from planet-hood. But what to call the new objects? If they filled the first two qualifications they would be designated a new classification: ‘dwarf planet’, sometimes referred to as “plutoids”. Pluto and many of the newly discovered Kuiper belt objects went into this new category – and celestial poster-makers had to add a line saying ‘Pluto is no longer considered a planet’ to their prints. Oddly enough, what was bad for Pluto was good for Ceres. After it had been demoted from being a Planet to being an Asteroid in the 19th century, Ceres is now promoted to Dwarf Planet status. It is the only Dwarf Planet not int he Kuiper Belt or further out (although another asteroid, Vesta, might be classified as such – the Vesta probe will arrive in July of this year (2011) to determine more about its shape! As astronomer Phil Plait put it, this really was no more than a distraction. While we may be fond of our childhood mnemonic devices that help us remember the planets names, in the end it really doesn’t matter what we call a celestial object. Each one is unique and will have to be studied for its special features. With planets being discovered in other solar systems all the time we now have even more concerns and things to study rather than worry about what to call something. In the end, it is just a name. Note: This article is a re-write from Spectrum Scientifics old blog.